Copyright ©2004 Research Computer Sciences, Inc. All Rights Reserved. 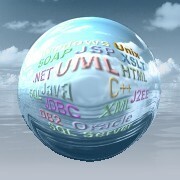 RCSI is a software development and technology solutions provider. Our focused business approach and our technical development skills allow us to create innovative solutions to complex business and technology challenges. Whether developing proprietary software, improving and/or integrating existing software systems, we create value for our clients through innovation. RCSI's founders and key personnel have over 17 years combined experience in the IT industry. This experience includes system architecture and design, software development, system integration, network setup and support, database design and development. Being a small company gives us several advantages. Our cost structure is lower than the competition. Our firm can be much more responsive to customers and changes in the marketplace, and we can be highly selective of the quality of our personnel. Also, we have that extra determination to succeed that comes from being a small firm. Explore the abilities of RCSI in the areas of IT technologies to find out how we can help your business keep pace for future success.